iPhone enthusiast and hacker Johnny Franks has release PwnageTool bundle for jailbreaking iOS 4.3 on iPad. You can use this bundle with existing version of PwnageTool to create custom jailbroken firmware for iPad, running the newly released iOS 4.3 beta firmware. While Cydia is fully working on iOS 4.3, it is important to note that this is a tethered jailbreak, which means you will need to restart your iPad in a tethered-jailbroken mode on every reboot. 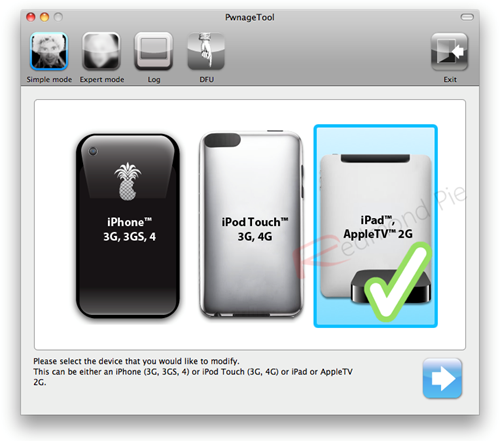 NOTE: The jailbreaking procedure for iOS 4.3 is complex, and hence is meant for advanced users only. It will require you to make your own ramdisk because the latest official version of PwnageTool makes a broken one for iOS 4.3. Proceed at your own risk only. We are not to be held responsible if you end up bricking your iPad.